You are trying very hard, yet you are not progressing in Russian. You feel like you are on an endless escalator of a Moscow metro, where you can’t see the end. You are not even sure to be able to order coffee at Starbucks Moscow. You have taken a Russian course and even bought a self-study manual, but without tangible, convincing results. You continue to mumble three words before asking a telephone caller if he speaks English or French. What do you do? It is obvious that to be able to speak Russian, you have to practice it. 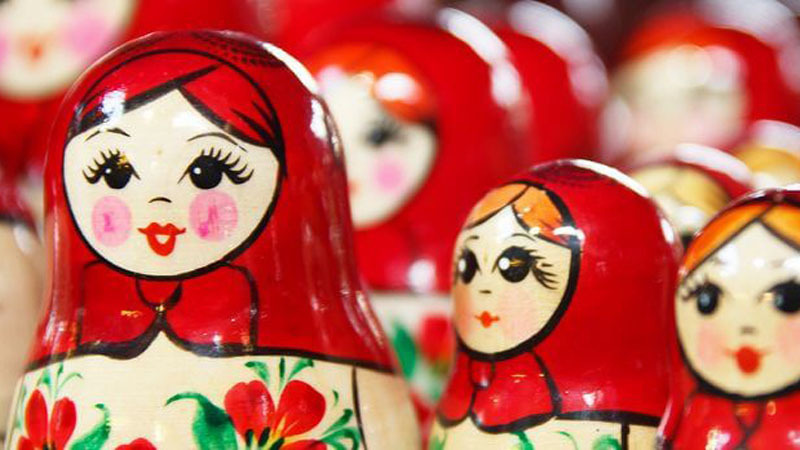 Our CREF-Moscow specialists give you 10 tips to help you communicate better in Russian. Tip Number 1: Don’t interact only within your English speaking community, make Russian friends. It is important to support and interact with your own community, but this is not how you will learn Russian. There is no magic formula in getting to meet and become friends with Russians. Just be confident that many Russians, especially in the provinces, are intrigued by the presence of the foreigners in Russia and will want to know what you are doing here. Additionally, the Russians still tend to underestimate the importance of the Russian culture in the world and think that no one else wants to speak their language. Thus, any attempt to speak Russian on the part of a stranger, even imperfectly, attracts sympathy or commands respect. Tip Number 2: Don’t be afraid to speak Russian! Often, when you are interacting with native Russian speakers who also speak very good English, you are hesitant to speak to them in their language. On the contrary, do not hesitate! Russians like to be spoken to in their language, which shows them we are making the effort to adapt to their country. Do not worry about your mistakes; Russians themselves sometimes make mistakes, too. Tip Number 3 : Do not try to translate from Russian to English and vice versa. Sentences structures in both languages ​​are very different. Simplify complex sentence structures of what you want to say, even if some nuance is lost. Your meaning will become clear in your less-complicated attempts at communication. Tip Number 4 : Use easily-understood words. There are more than you think; take for example, partnership – партнерство (partnyorstva), modernization- модернизация (madernizatsya), a word that is often used in political discourse, contract – контракт (cantrakt), procedure – процедура (pratsedura), problem – проблема (prablema), or initiative – инициатива (initsiativa). Imagine a situation where you lack the Russian word for ‘pants’, but you can use the word ‘jeans’ instead – джинсы (jeansy). Tip Number 5 : Use anglicisms. This is not desirable from an ethical point of view, but it allows you to continue your speech without leaving the Russian language when you do not have the right Russian word. For example, you can use апгрейд (“upgrade” – same pronounciation) instead of улучшение (“improvement”). This is not entirely appropriate from a linguistic point of view, but at least it’s understandable to your Russian audience. Tip Number 6 : Listen to Russian music. There are songs with upbeat and easily understood lyrics in contemporary Russian rock and of the Soviet variety that remain classics to this day. Listen to Anna German or Vladimir Vysotsky, or Kino, Bi-2, and MumiTroll, among contemporary artists. Then you can share your impressions with Russians who will be very impressed with your knowledge of their musical culture! Tip Number 7: Read in Russian. There are free newspapers distributed in the underground. These newspaper articles are short and written in a simple, highly accessible style for novices. If you have exceeded the basics of the Russian language, try reading novels. Contrary to what one thinks, Tolstoy has a clear and simple language. Among contemporary writers, try a novel by Boris Akunin (author of the series of historical crime novels translated into English and whose hero is Inspector Erast Fandorin). Read quietly to soak up the language, but do not try to understand everything. Do not use a dictionary unless word really prevents the understanding of a sentence. Another idea is to try reading bilingual editions of short stories by Pushkin, Chekhov, Turgenev, etc., in Folio. Tip Number 8: Listen to Russian radio. Listening to Russian radio broadcasts is just as effective for learning Russian but is less politicized than most television broadcasts. We recommend listening to Business FM БизнесФМ or Vesti FM ВестиФМ for general info, and to Radio Chanson Радио Шансон or Radio Dacha РадиоДача for Russian folk music (though in small doses if you are not a fan of pop and folk music). The titles of radio news and weather forecasts are very good training in learning Russian, as they are often repeated every day. For those students of Russian who are more advanced, there is also the radio station “Echo of Moscow” – Эхо Москвы (Ekho Maskvy); not only will you progress quickly in Russian, but you can also learn of political life in Russia. Tip Number 9: Watch Soviet-era and Russian cartoons and animated films. Russians have many cartoons that date from the Soviet era and which are still shown to current generations. Always very caring and intended to teach lessons about Russian life, these cartoons teach children to speak about everyday and familiar topics using rhymes and puns. The cartoon Tale of a white ice cube – Cказка о белой льдинке (skaska a bieloy ldinkie), for example, is very effective in studying the use of the words cleanliness – чистота (Chistata) and order порядок (pariadok) and phrases linked to them. Cleanitall – Мойдодыр (Moydadyr) is very useful to learn the different stages of the day, the names of animals, and this is surely the only animation where you can see a sink that speaks! However, avoid storybooks that use often-poetic language which are more appropriate for a native speaker. Tip Number 10: Study Russian with CREF’s pedagogical professionals. All these tips are not as effective without high-quality Russian courses. For example, the teachers at CREF are highly-educated and talented professionals. They are recruited not only on the basis of their training and experience, but also on their charisma. They will share their passion for the Russian language and Russian culture with you. Then, you are sure to make rapid progress in speaking Russian!